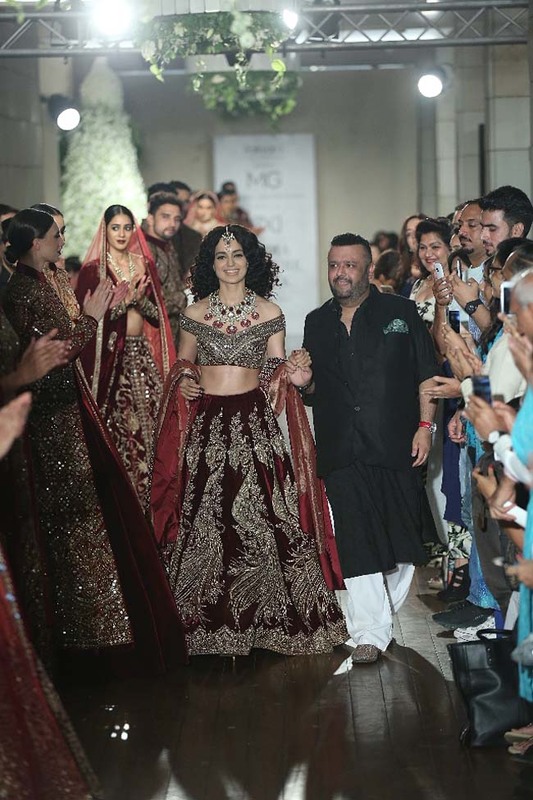 Manav Gangwani’s latest couture collection at India Couture Week 2016 had Bollywood’s Kangana Ranaut as the showstopper. 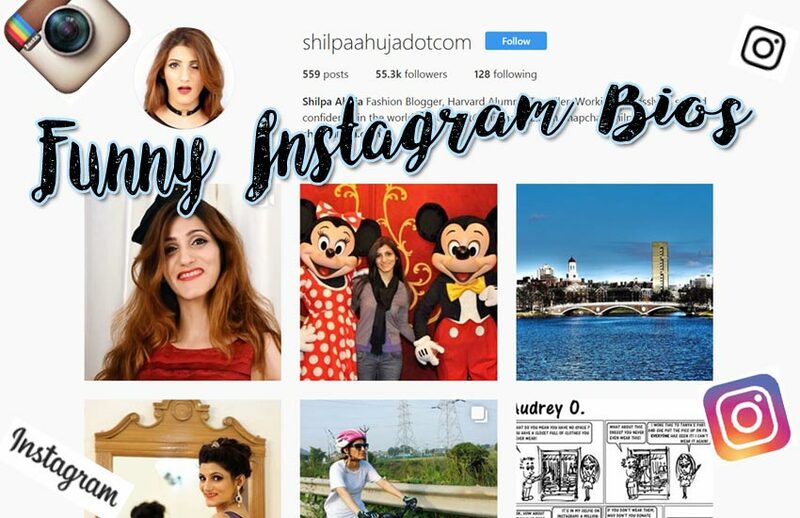 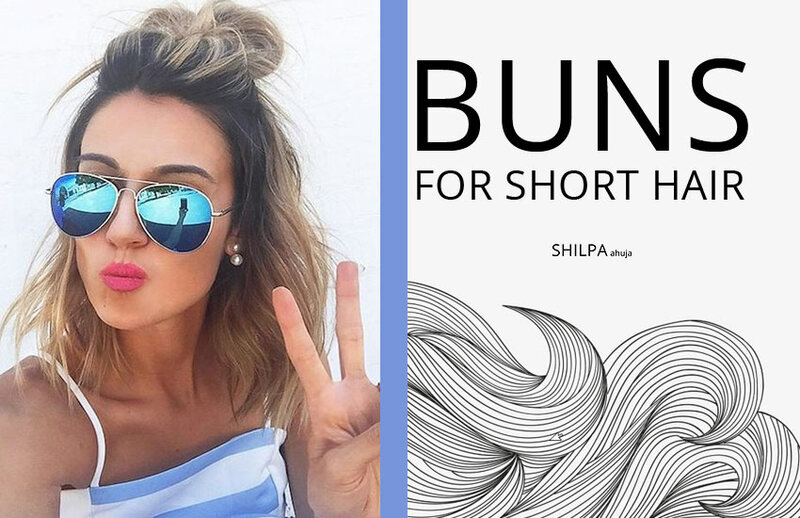 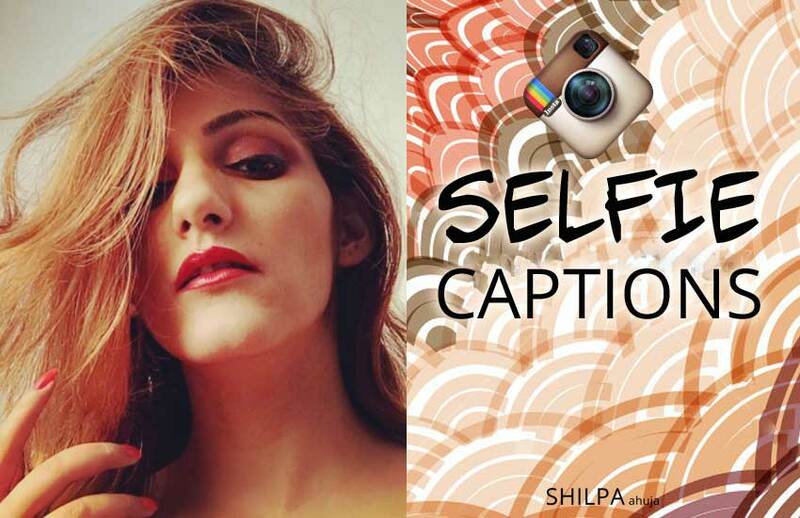 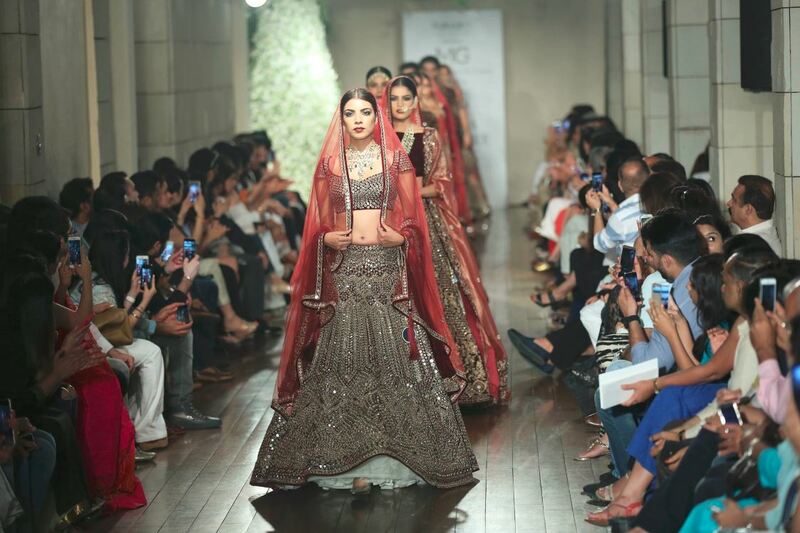 Here’s all you need to know about the fashion show! 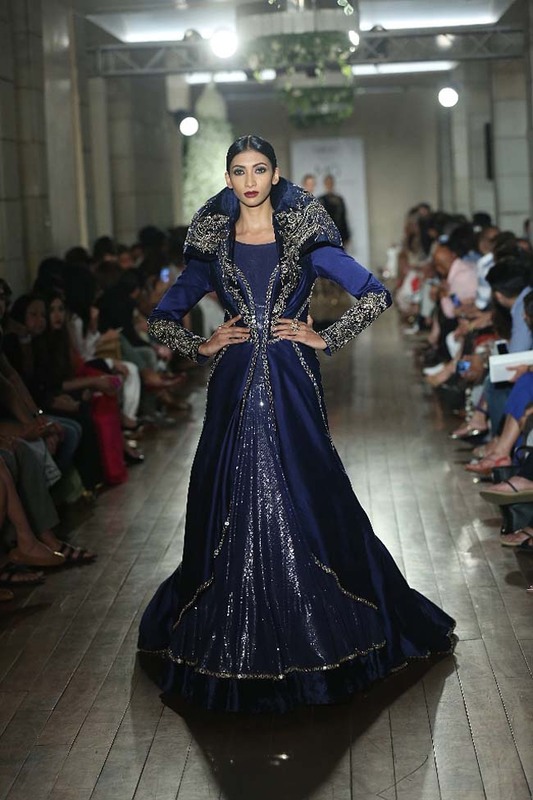 Titled ‘Begum-e-Jannat’, the latest collection at India Couture Week 2016 launched Manav Gangwani’s new label, ‘Manav Gangwani India’. 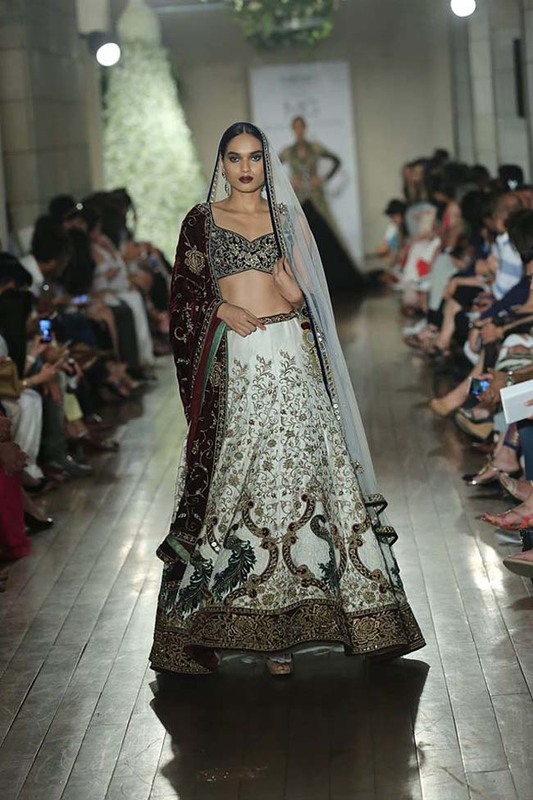 Inspired by the Mughal fashion, Gangwani’s collection focused not just on the traditional lehenga cholis but also his own version of empress-like gowns. 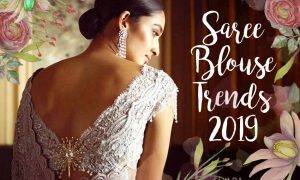 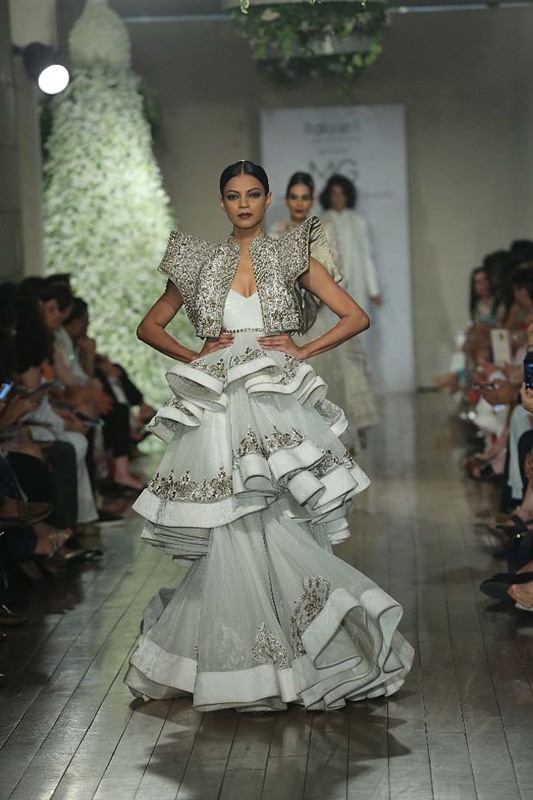 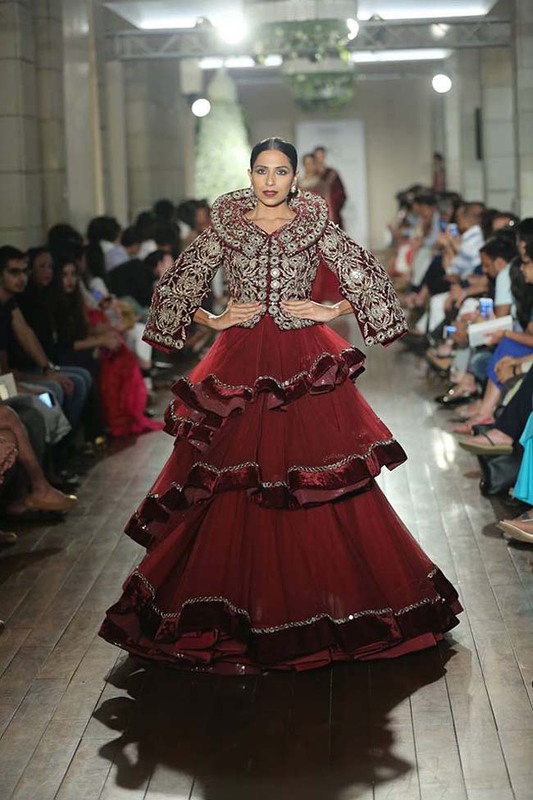 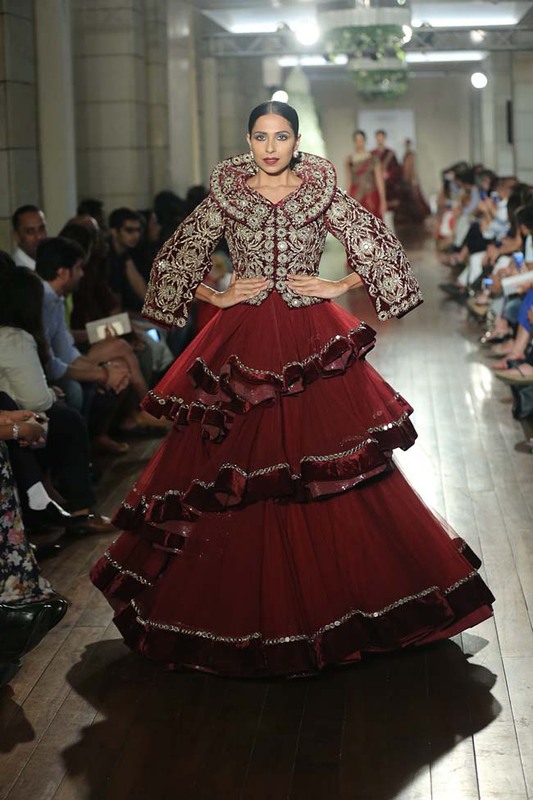 The silhouettes included floor-touching gowns with poofy, layered ruffles worn with boleros, embroidered full-sleeved gowns, lehenga cholis, mermaid gowns and men’s sherwanis. 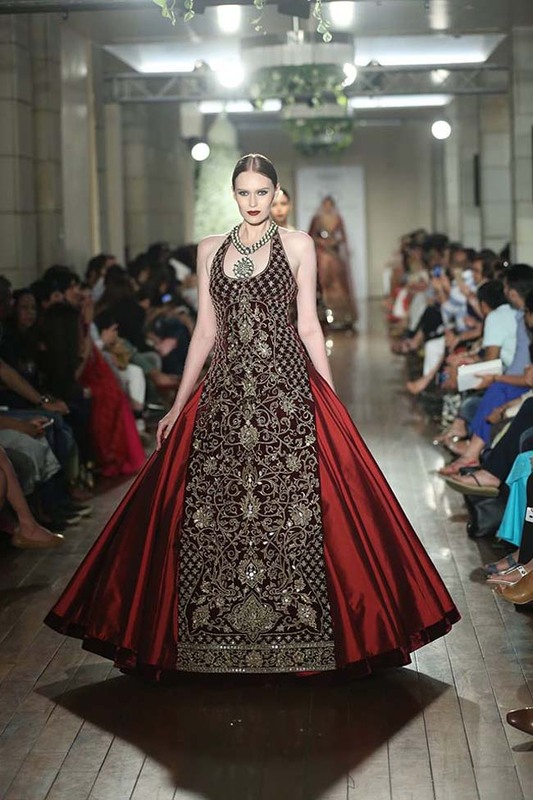 The color palette was very royal – sapphire blues, off-whites, emerald greens and ruby reds with black and gold – like the Navaratnas (nine-jewels) of the Mughal emperor, Akbar. 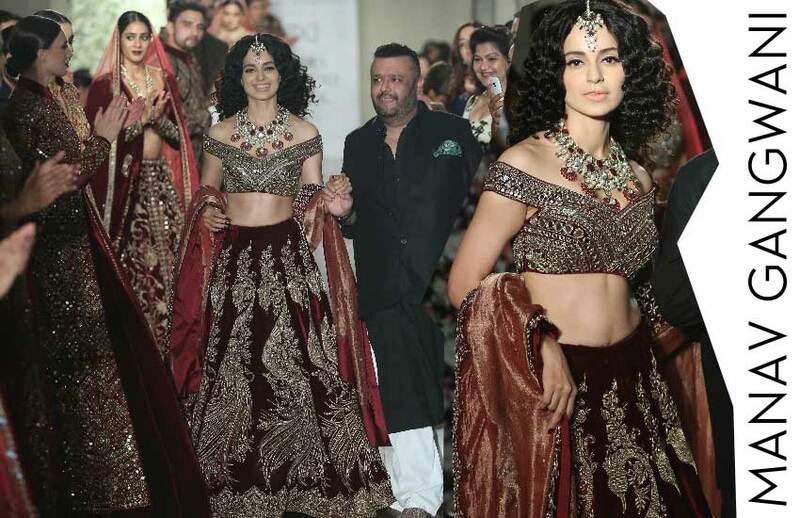 Bollywood beauty, Kangana Ranaut, walked the ramp as showstopper, wearing a maroon lehenga with gold embroidery and an off-the-shoulder choli. 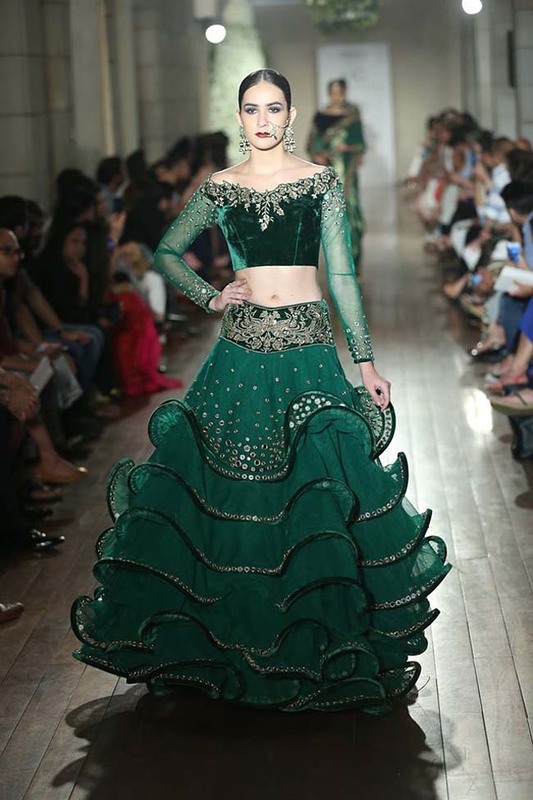 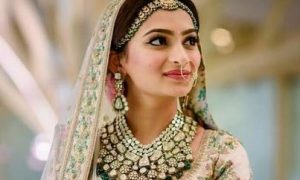 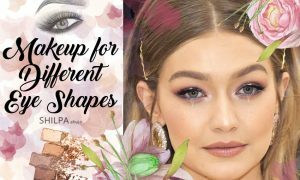 The use of western-trends inspired off-shoulder choli is interesting, although the washed lip color doesn’t do much to flatter her Indian skin-tone. 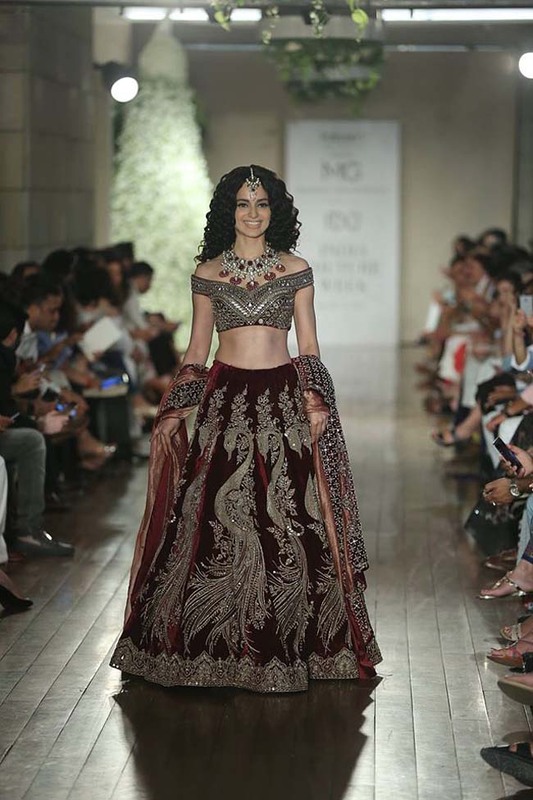 And I would even go as far as to replace her salon-curls with some 80s wild and carefree curls! 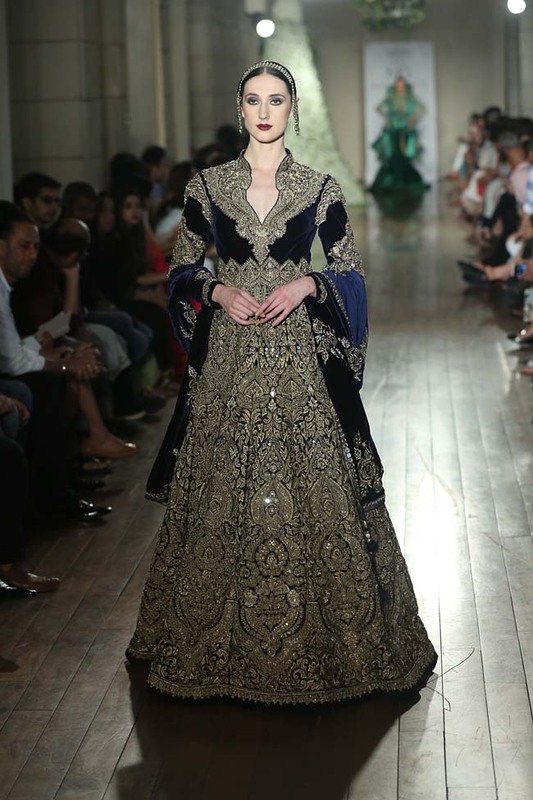 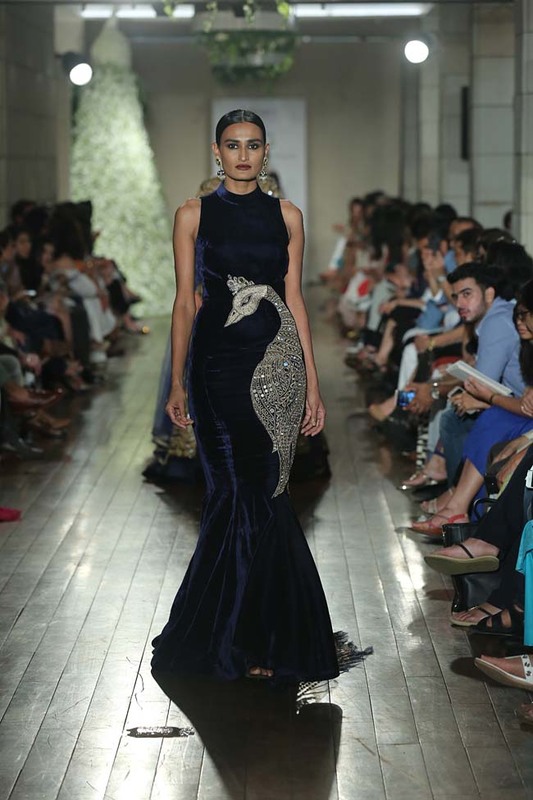 The actress was also the showstopper in Gangwani’s Autumn Winter 2015 Couture Fashion Show. 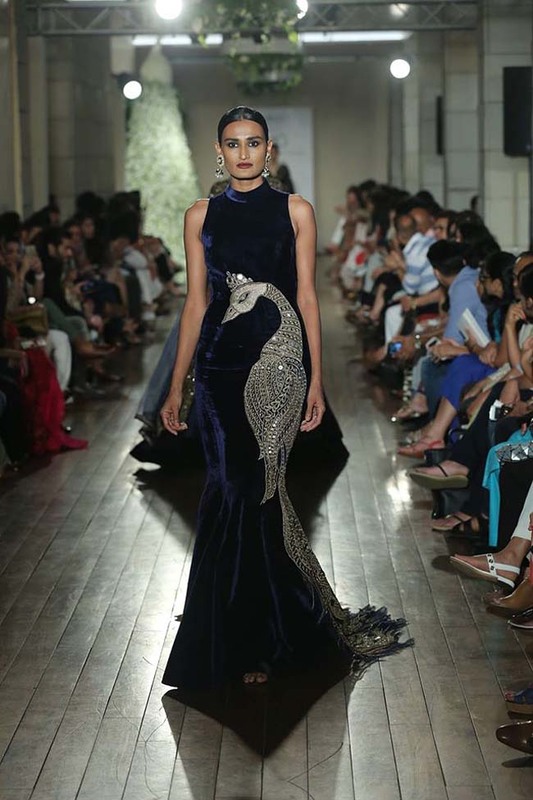 Compared to the last year’s collection, this one feels very different with a lot of fresh elements. 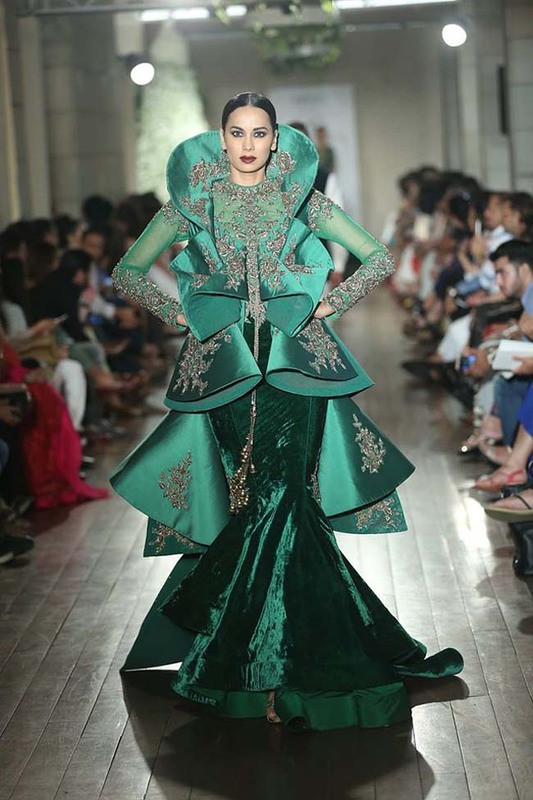 My favorites include the three-dimensional high collars of some of the gowns and the bold peacock patterns. 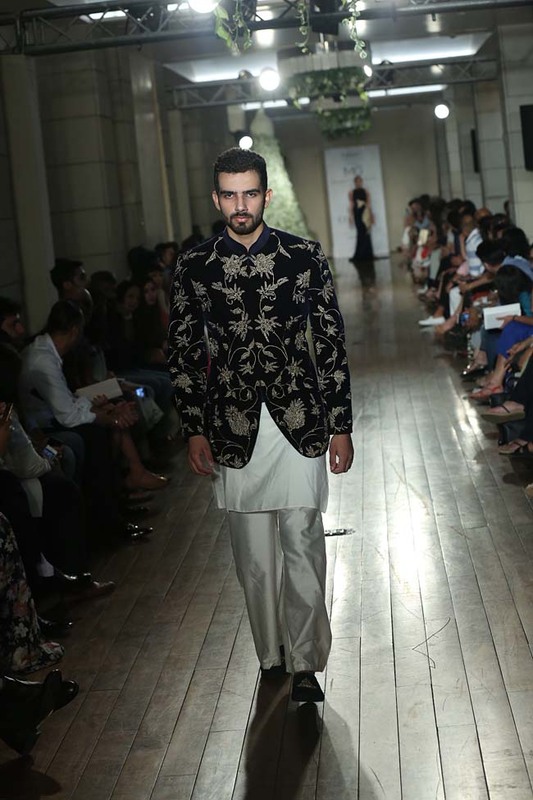 The collection also made the case for Indian menswear-inspired womenswear. 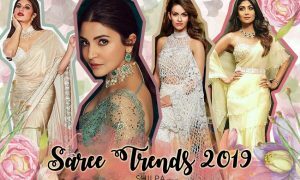 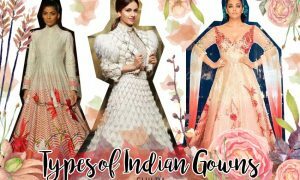 Both Bollywood and the Indian runway collections have been rooting for women’s sherwanis since 2012, although little else has been seen otherwise. 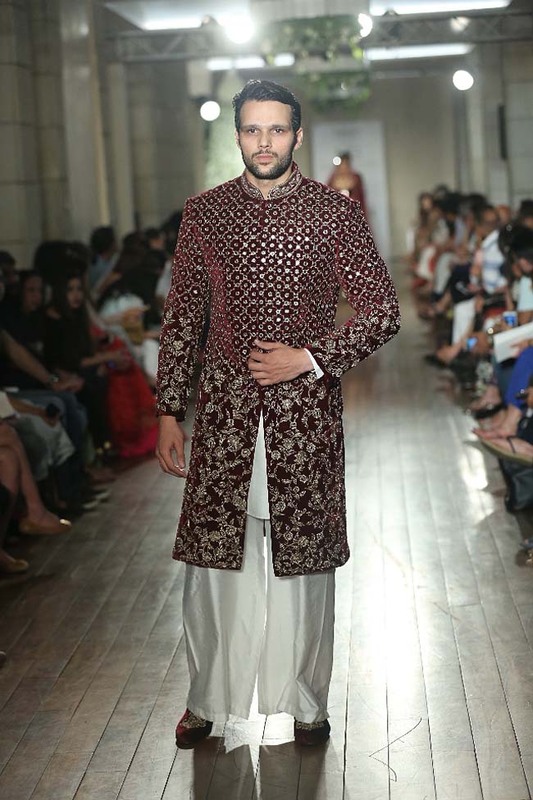 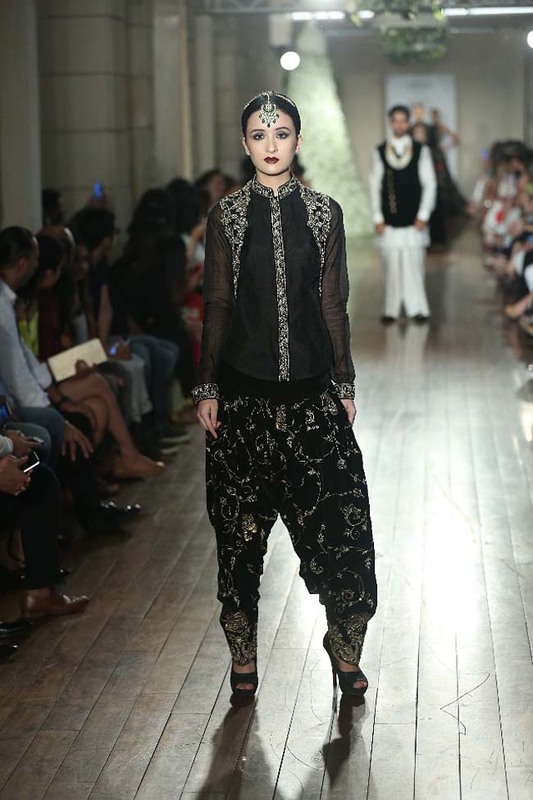 The outfit in the show was not exactly sherwani, but a menswear-inspired black bundhgala with embroidered shoulders, paired with matching salwar pants. 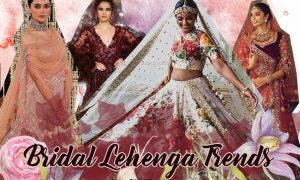 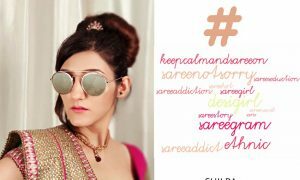 While sarees and gowns are great, we can certainly use some more of blurring lines between Indian womenswear and menswear, making it more comfortable and inclusive for the evolving tastes of the Indian woman.